JASE-W participated in World Future Energy Summit (WFES) 2019 held in Abu Dhabi, UAE. JASE-W members companies displayed panels and demonstration equipment, and made presentations of their own energy efficient products and technologies. 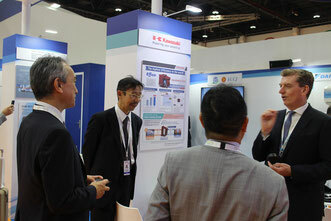 JASE-W introduced their activities and"Japanese Smart Energy Products and Technologies".